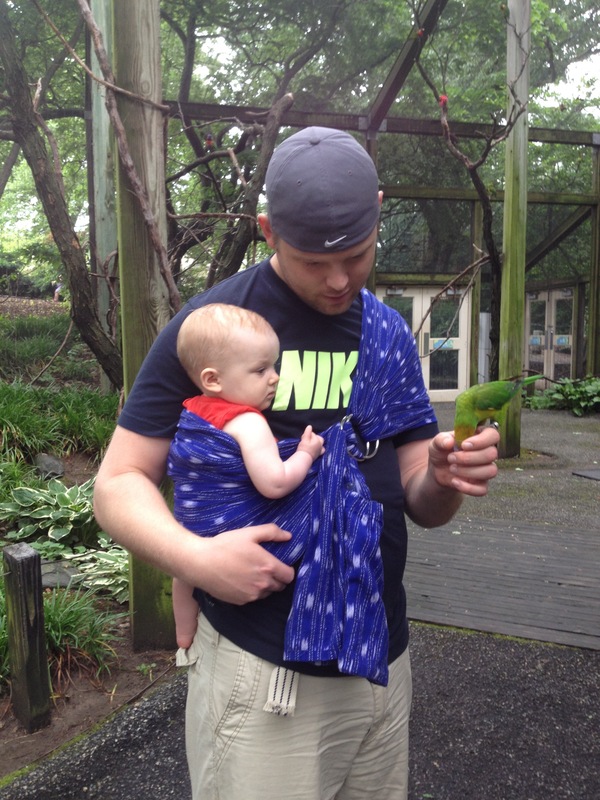 Every weekend my husband takes our daughter to the zoo while I run to the gym. They visit the penguins and the flamingos, the tigers and the gorillas, the rhino and the giraffes. But their favorite exhibit is the Avian Center! Ellie loves the birds. They go early in the morning before it gets crowded, so they can spend as much alone time as possible close up with their bird friends; Mary & Crash, Bob & Nancy, and who can forget Gertie?! This photo is from a day that I decided to join them in their zoo adventure. 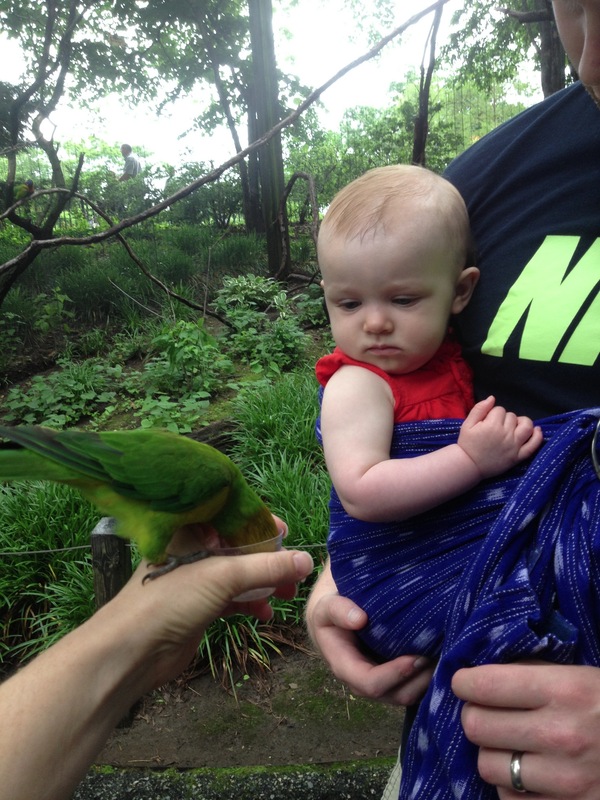 We stopped into the Lorikeet exhibit to feed them! My husband uses our Maya Ring Sling that has been re-sewn into a beautiful pleated shoulder by a friend who is a superstar seamstress. It is an older Maya and the new shoulder makes it way more comfortable. He likes it because he can share the world with our daughter on the same level, and she can chose to look in or out.